9 September 2016. A clinical trial has started to test a current drug for type 2 diabetes as a treatment for Parkinson’s disease. The trial is a joint project of the Cure Parkinson’s Trust, a research foundation in London, U.K., and Van Andel Research Institute in Grand Rapids, Michigan. A key focus of Cure Parkinson’s Trust is to find drugs currently approved to address other disorders as potential treatments for Parkinson’s, since these medications were already tested and found safe, at least for their current patients. Among those drugs identified as possible Parkinson’s therapies is liraglutide, marketed as Victoza by Novo Nordisk, which is supporting the trial. Liraglutide is in a class of drugs known as glucagon-like peptide-1 agonists, or GLP-1 agonists, that act like hormones in the gut generating a greater insulin response, and thus help regulate blood glucose levels. Liraglutide is an injected, long-acting drug, prescribed for people who find it difficult to control their blood glucose levels through diet and exercise and need extra help. 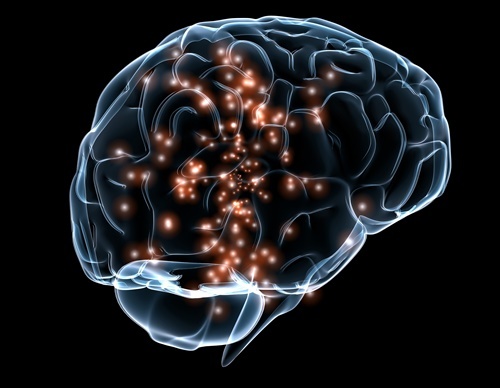 Preliminary lab studies show liraglutide also activates GLP-1 receptors in the brain. Insulin resistance is a feature of type 2 diabetes often associated with the onset of Parkinson’s disease, and related to impaired brain insulin signaling, as well as malfunctioning brain cells and impaired cognition, anxiety, and depression. These preliminary findings suggest activating GLP-1 receptors may protect against degenerative damage to brain cells, including those affected by Parkinson’s disease. The trial is being conducted at Cedars-Sinai Medical Center in Los Angeles, directed by neurology professor Michele Tagliati. The trial is not yet registered with ClinicalTrials.gov and details are sketchy. GLP-1 agonists are also being tested as a treatment for heart disease. As reported in Science & Enterprise in June 2016, liraglutide was shown in a clinical trial to reduce serious heart disease in people with type 2 diabetes also at high risk of heart disease. Van Andel Institute is a not-for-profit research organization that studies genetic, molecular, and cellular origins of Parkinson’s, cancer, and other diseases as well as translating the findings into therapies. Joint ventures/collaborations, Regulations biomedical, clinical trials, Europe, life sciences, pharmaceuticals, U.K.